The Radonnée returns for 2018, and now we are offering an off road & on road version. 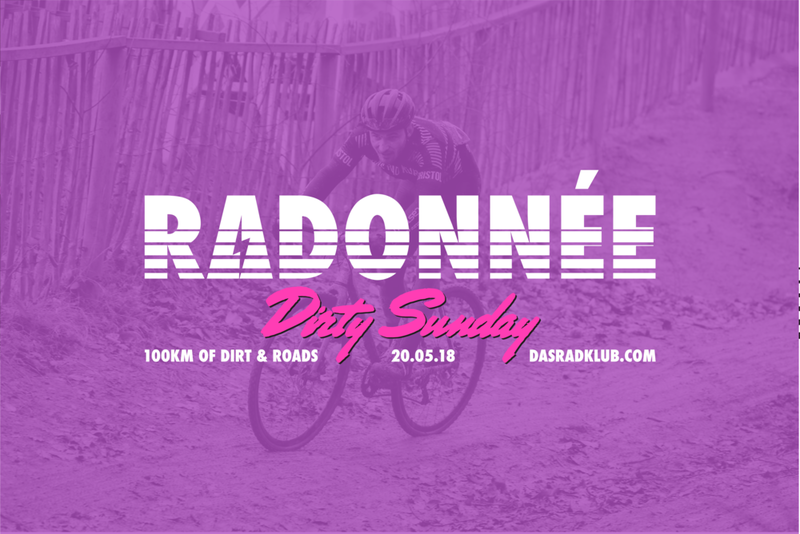 Sunday 20th May sees the first 'Dirty Sunday' edition of the Radonnée - a 100km route connecting dirt paths, mucky lanes & some iconic local roads. A mass start ride with a single checkpoint, to be ridden at your own pace. Expect a challenge, expect to get dirty, expect a day of having fun on bikes. The finish point is at Little Victories, where you can fill yourself with coffee, cake & beer. Or visit one of the many eateries at Wapping Wharf for all kinds of food & drink. Powered by Squarespace, coffee & cake.